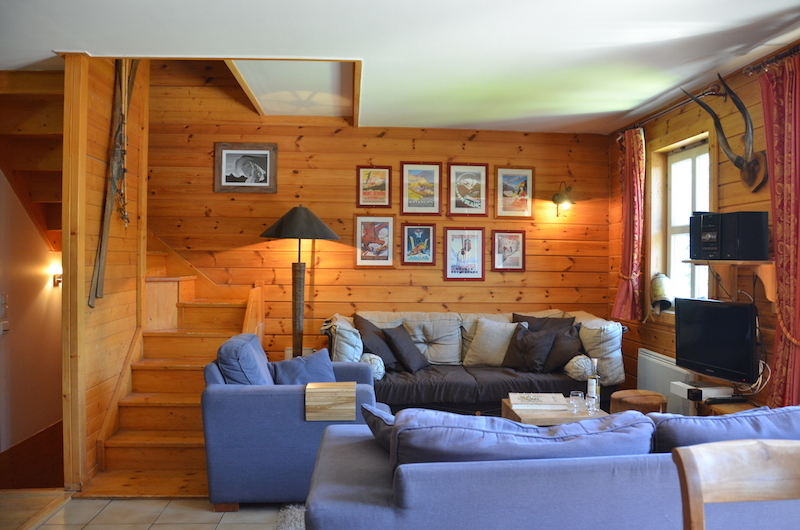 Welcome to our very cozy and fully equipped chalet for 10 people in Le Hameau Flaine, Grand Massif. 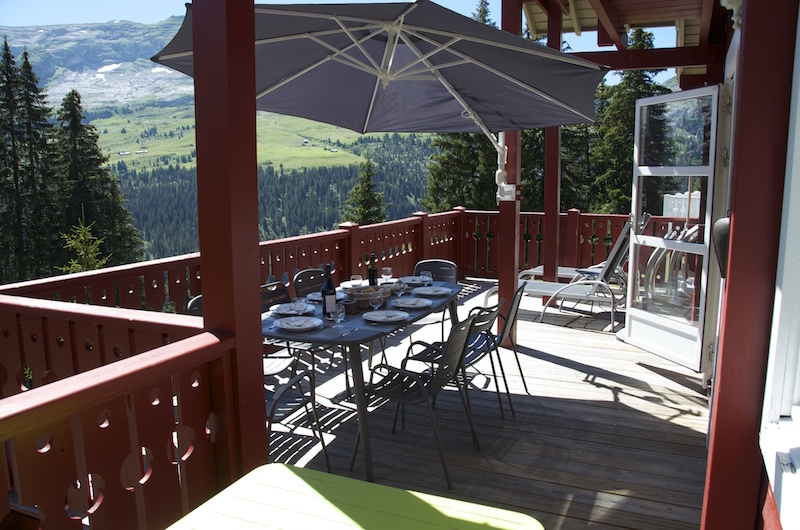 The chalet is located near the ski slopes and has a fantastic view of the mountains. 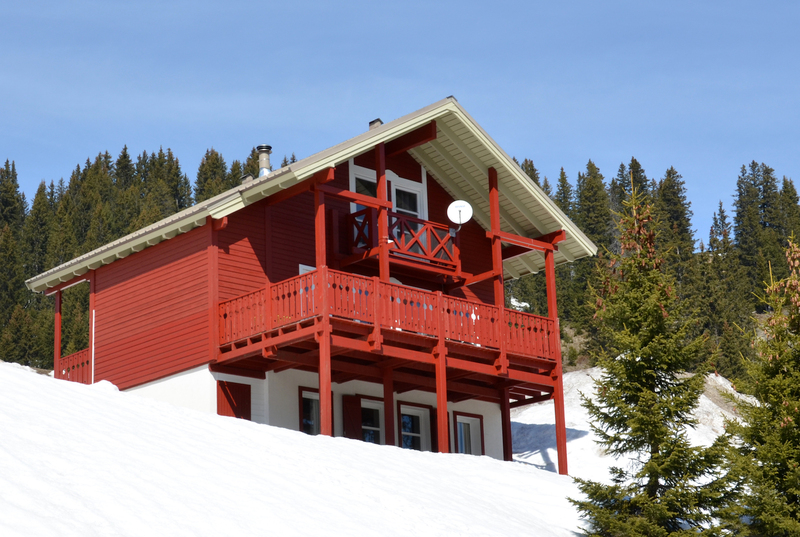 With its 5 bedrooms, 3 bathrooms, 1 sauna room and 3 toilets, it is perfect for 10 travelers wanting to enjoy their winter or summer in the French Alps. 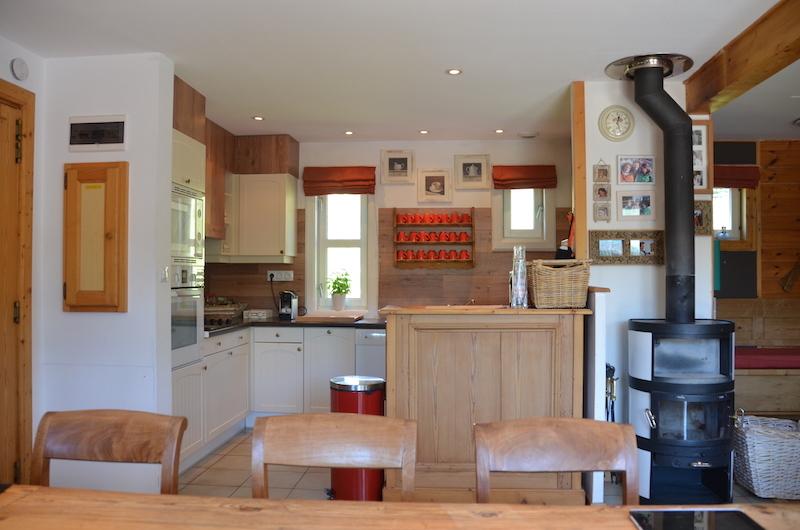 The chalet has an extensively equipped kitchen with: Nespresso coffee machine (also a regular one), raclette, microwave, dishwasher, oven and a refrigerator with freezer. Downstairs there’s a washing machine and a dryer. And of course free high speed internet and digital TV. 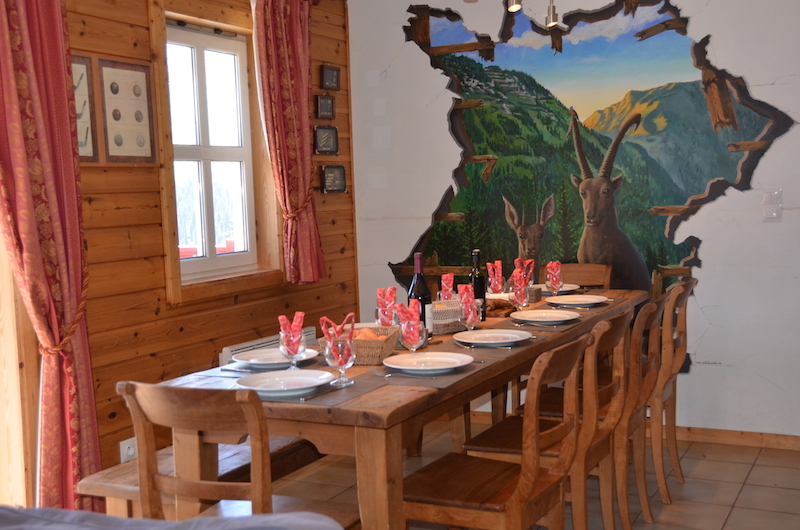 To find out about the distance from the chalet to the piste and the bus, go to our location page. There's enough space for ten people. Cozy lounge for an aperitif or great TV moments. On the right: TV, DVD player, music player, a mini jack to play music from your iPod. Our kitchen has all the appliances and utensils you might need during your stay. Microwave oven, hot air oven, refrigerator with freezer, Nespresso coffee machine, regular coffee machine. Downstairs, we find the first bedroom. 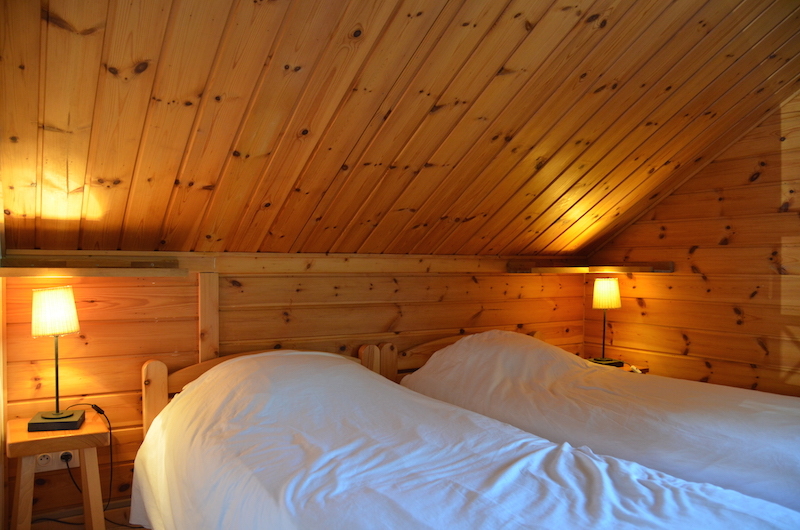 It features a double bed with a new mattress for sleepers with delicate backs. There's a large closet with plenty coat hangers and a mirror. 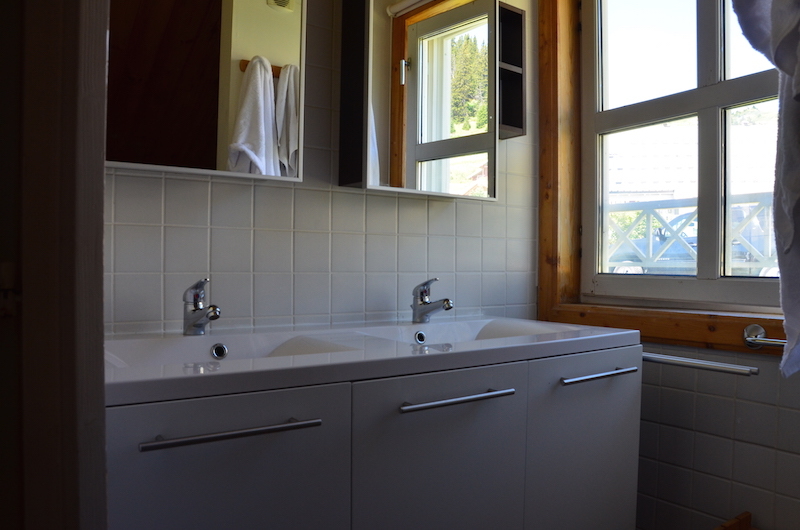 The room has an adjacent bathroom with tub and double sinks. 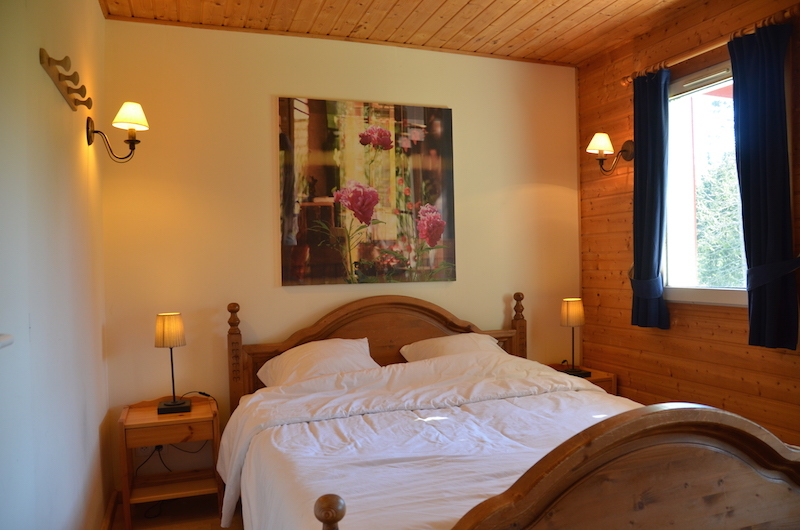 The second room features a double bed, a spacious closet. The room's shower and sink are in the corner of the room. 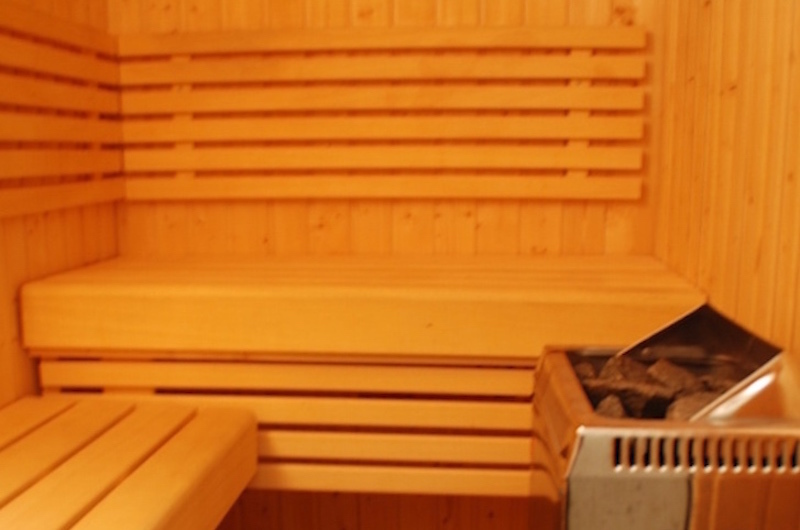 There is also a sauna to relax with an adjoining shower. 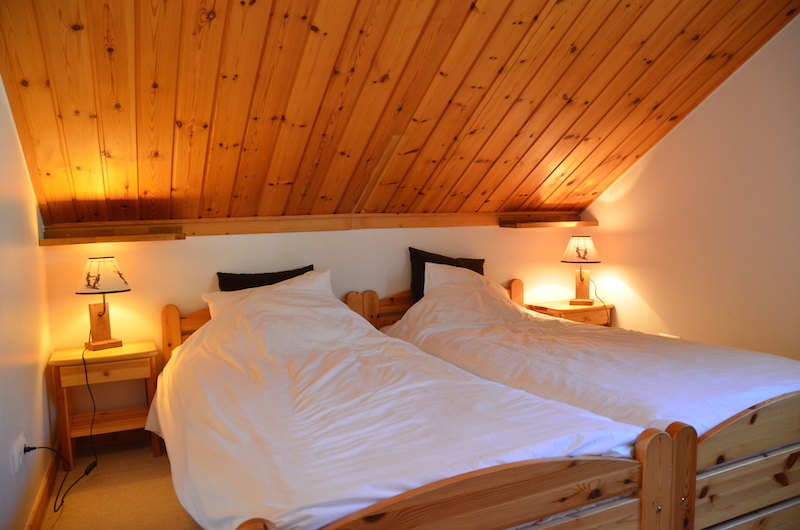 When we go upstairs, we can find the third bedroom with its twin beds, wardrobe and balcony.. 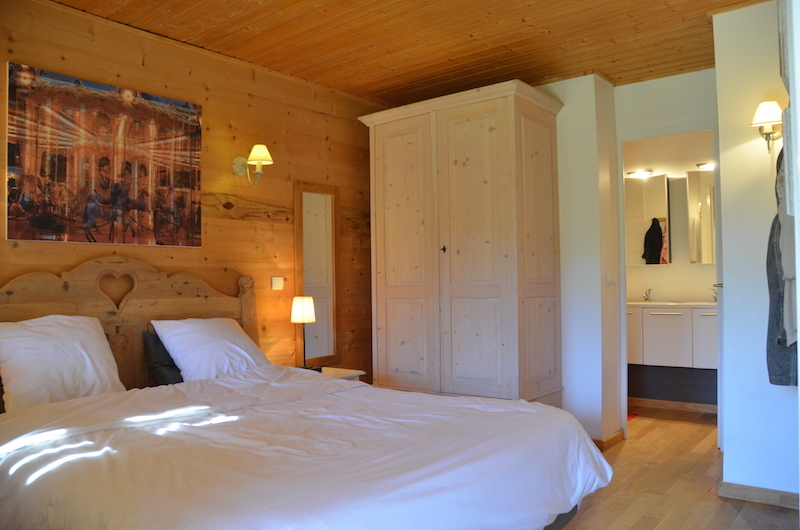 The fourth bedroom features twin beds, a wardrobe and a sink. 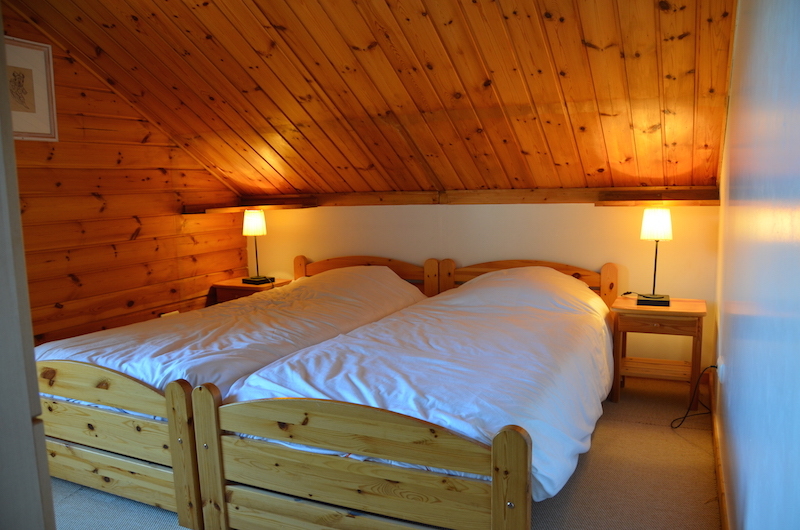 The fifth bedroom has two single beds, a wardrobe and plenty of cabinets and shelves for all your things. The bathroom upstairs has two sinks and a bath. 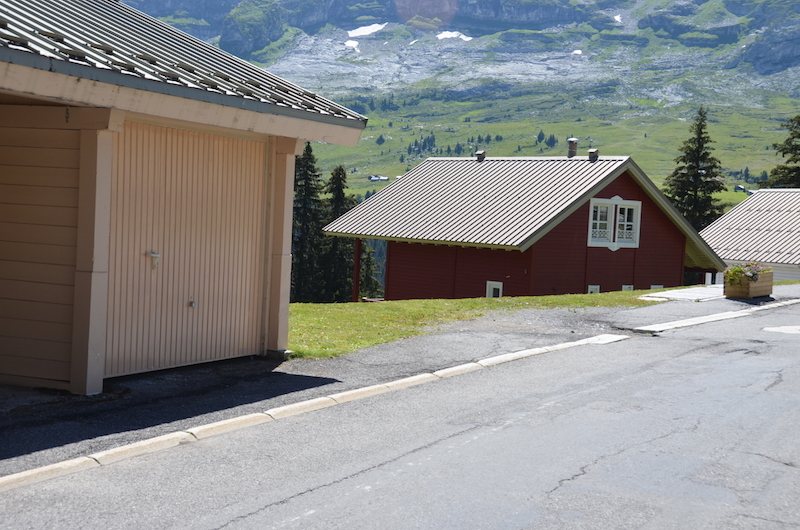 You can park your car in the garage and use it to store your skis at night.